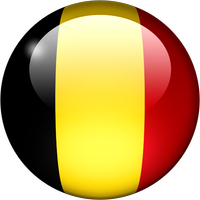 Distributor Information for Laborimpex (Belgium) :: Microscopes Intl. LABORIMPEX is a Belgian company specialized in the import and distribution of kits, reagents, laboratory equipment, consumables and surgical devices used primarily in universities, centers and research institutes, hospitals or private practice in the pharmaceutical industry as well as in all institutions where there are laboratories of molecular and cellular biology, genetics, cytogenetics, microbiology, virology, biotechnology, biochemistry, immunohistochemistry, pathology, and in laboratories using techniques of light and electron microscopy (TEM and SEM). LABORIMPEX sells the uScope family of whole slide scanners through the Electron Microscopy Sciences (EMS) Catalog.